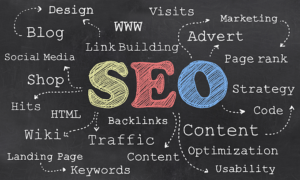 Call SEOblog What happens when you stop SEO services? What many clients do not understand is that SEO is not a “sometimes” choice, but a monthly necessity. For the first week, the number of total new visitors and traffic from organic search (SEO) remained relatively constant. But after a week organic search traffic will start to drop and continued to drop over the following weeks especially if you’re in a high completive niche. If you knock someone out of the top ten results on Google, you can be sure they will be doing everything they can to get back on top. Competitors try to and WILL outrank you. You cannot ignore your competitors, because they will not ignore you. If you rank higher than them on the search engines, you can be sure they will be working to outrank you. Over time if SEO is not maintained then rankings and traffic will slip. Competitors who do SEO consistently will overtake or you’ll simply slide with the absence of fresh content and new links coming to your site. Google and other search engines consider the freshness (recency) of your content as an important ranking factor as well as the recency of sites linking to you. If you are not creating new content and you do not have new links coming to your site from other web pages, your site will be deemed (over time) increasingly less relevant. In order to maintain and grow your search engine results, SEO should be maintained consistently. If you stop temporarily then unlike the lemming your site will not drop off the cliff, but leave SEO for too long and you’ll begin a slow slide back to the bottom. SEO can be a bit daunting. Keeping it up 365/24/7 may seem impossible, but the benefit is more visibility and more money. The alternative is often lost visibility and fewer clients. Once traffic is lost and visibility is gone, you will often have to invest as much as before to get it back. That is why on-going SEO is critical for clients interested in attaining and maintaining top results in the search engine pages.